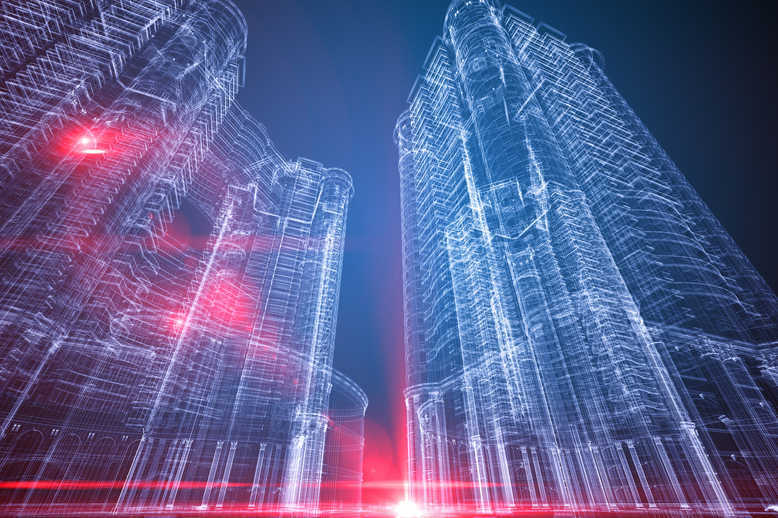 What will Engineering and Construction look like in 2030? Traditional methods are continuously being replaced by more modern techniques, but just how far will engineering and construction grow over the next decade? There’s nothing more exciting than discussing future innovations and the construction industry is well known for its continuous development. The engineering involved with finding new ways to be sustainable and environmentally friendly in the industry is tremendous. It can be done by; creating new alternative materials, new uses for current materials, and finding innovative ways to construct that lowers environmental impacts while remaining economically sustainable. Why is innovation important in the construction industry? Well just like any industry it’s important to continue to find ways to be more efficient, cost-effective and environmentally friendly. More specifically for civil and structural industry, it’s important to find ways to reduce the risks involved and increase job site safety during construction. One of the biggest issues within the construction industry is that many workers die or sustain injuries each year from preventable job site accidents. As technology advances, so too do the industries safety practices, which are already well-established, making jobs far less dangerous. Over the next decade, it’s highly expected that robotic automation will be integrated into projects to take over some of the repetitive manual labour in the industry. For example, robotic masonry and bricklaying. Of course, skilled workers will still need to be employed to oversee and work in conjunction with the robots to ensure standards and quality are assured during construction. This short YouTube video helps demonstrate what they are currently capable of already. 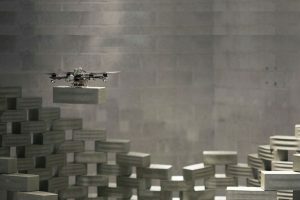 Another robotic device that is already beginning to become a large part of the construction industry is known as an Unmanned Aerial Vehicle (UAV). They are small devices with rotors and an onboard camera that can take stills or send video to a live feed. They are often piloted from tablets or phones making them easy to use. Currently, project teams are utilising their surveying capabilities to assist in digitalising the geographical terrain, using them for better communication and project management, and benefiting from their abilities to assist in remote job site monitoring. They are often used to inspect and run safer evaluations of difficult to reach areas, such as multi-storey buildings or underneath bridges. While they have already become a huge part of the industry the technology used in UAVs is continuously being developed. This means that in a few years it may have even more uses within the industry! In the years to come no doubt there will be far more Pre-fabrication within the industry. Pre-fabrication is considered far more efficient, cost-effective and safer than on-site fabrication. 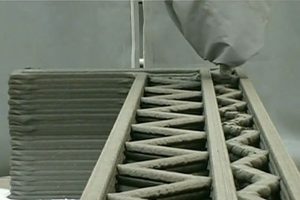 Advances in 3-D printing, for example, may play a large role in increasing the use of pre-fabricated materials. 3D printing has started to make its move within the industry, it’s cost effective and potentially the way of affordable future housing. 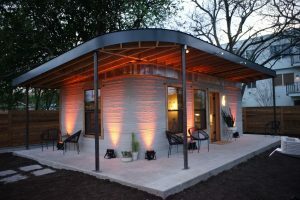 Recently there have been campaigns built upon making 3D printing housing a reality, showing that it can print out all the components necessary and allow houses to be built at record speeds. In fact, a Chinese company is using 3D-printed blocks to build cheap and quickly assembled houses. A mixture of materials processed from common construction waste (sand, concrete and glass fiber) are used as the material for the blocks. It is then pumped layer by layer through a huge industrial printer to form the shapes required. The project started as a possible solution to the urgent problem of housing conditions in Chinese villages. It was able to construct 10 houses in a single day! This amazing feat demonstrates the benefits of 3D construction, including reducing health and safety risks, waste reduction, ability to recycle materials in production, efficiency and schedule reduction. These on top of the low cost shows the real potential of 3D-construction in the future becoming more common practice. Other technological advances within the industry include energy-saving building systems and smart buildings. Energy-efficiency analysis is continuously being used in the design phase of construction. Methods to help analyse and lower the energy cost both during construction and after are incredibly important as clients often wish to make their development as ‘green’ as possible. One of the methods for doing so is designing smart buildings that connect with systems that provide data monitoring and remote access. This technology not only allows them to track their facility systems but also automate them, allowing them to provide significant energy savings. It is highly likely that within the coming years including smart building systems is going to become the standard within the industry as the need to be more environmentally friendly and reduce our energy usage grows. Another hot button topic when thinking about the future are the design process innovations. We find ourselves continuously researching and developing unique methods to ease the system and correct current problems or allow our systems to be more efficient. Current systems and processes can be problematic. One such issue is the lack of housing plans kept by owners. Perhaps soon there will be records of all housing plans readily accessible in order to help streamline this process. 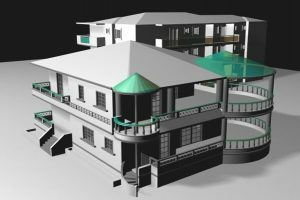 The use of 3D modeling over 2D is also continuing to grow within the design phase of the industry as it allows designers to make more informed decisions before construction. It is expected that this method of modeling will only continue to develop and be used even more widely in the future. No one can know just how much the industry will grow and change over the next decade. However, there is one thing that is for certain. The processes and systems we use today will no doubt continue to be improved upon and it’s something to look forward to.